President Morsi was deposed in a military coup in July after failing to stem mass protests calling for him to step down as Egypt’s first democratically elected leader. Since then he has been in military custody awaiting trial for charges that by all accounts appear to be politically motivated and calculated to destroy the Muslim Brotherhood, the country’s most popular political movement, and bring about the return of the ancien regime. In August, police and army personnel shot dead thousands of Egyptians in mainly peaceful protests that gripped Egypt after the coup. The aftermath of Morsi’s ousting has exposed as a lie the military’s contention that he was removed to preserve security and order. In addition to installing a puppet interim government, the army has also imposed a state of emergency in most of the country, swept away the free press that had mushroomed following the fall of Hosni Mubarak, arrested and imprisoned hundreds of opposition figures and workers complaining of poor wages and conditions. All the while it has insisted to the outside world that it is gradually restoring democracy, a claim supported by the US and Britain along with their authoritarian allies in the Gulf. Yesterday’s visit of US secretary of state John Kerry to Cairo should be seen as a US nod to the generals to continue on their course of repression. Despite all the evidence to the contrary, Kerry reiterated Washington’s stance that Egypt was on track to implement its so-called road map to democracy. He made no mention of Mohammed Morsi’s trial or the deteriorating human rights situation. It should be remembered that Washington has steadfastly refused to call July’s events a coup. Separately Britain has resumed 24 arms export licences to companies supplying the Egyptian regime which were suspended after August’s bloody crackdown on anti-coup supporters. The US is Egypt’s main political backer. Since 1979, as a reward for Cairo signing the Camp David peace accords with Israel, its army has been lavished with an annual $1.5 billion in aid from Washington, allowing it to become the most powerful institution in Egyptian society. The largesse has enabled the army to dominate the state and extend its tentacles into all aspects of society, without any accountability. After ousting Morsi, the army was also rewarded with a $12 billion aid package by Saudi Arabia, itself wary of the potential fallout of the Arab Spring inside the kingdom. 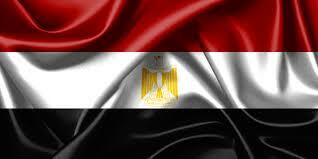 Last week the UAE announced its own aid package to Egypt worth $4.9 billion. “It’s quite clear that it is not only the authoritarian Arab regimes but the whole western world which is lined up against the empowerment of ordinary Egyptians” said IHRC chair Massoud Shadjareh. “This is because they believe it will be detrimental to the continuation of their interests and control not only of Egypt but the whole area”.